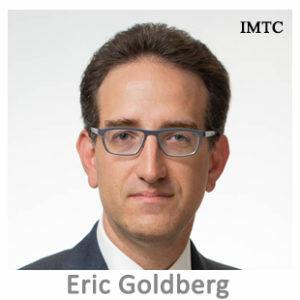 Eric Goldberg is a Partner at Akerman LLP in Washington, D.C. Eric advises clients on a range of consumer financial services issues primarily relating to payments and fintech. Prior to joining Akerman, Eric was Managing Counsel for Regulations at the Consumer Financial Protection Bureau, where he led the agency’s payments regulatory work. As the senior attorney on Electronic Fund Transfer Act / Regulation E issues, Eric led teams on several amendments to the Bureau’s 2012 Regulation E rule regarding remittance transfers and played a key role in the Bureau’s 2018 assessment of that rule. Additionally, Eric led the Bureau’s implementation work that aided banks’ and money transfer companies’ efforts to comply with the remittance rule. At Akerman, Eric concentrates on federal and state regulatory issues impacting providers of deposit accounts and emerging payment services, including prepaid cards, money transfers, and providers of virtual currency products.